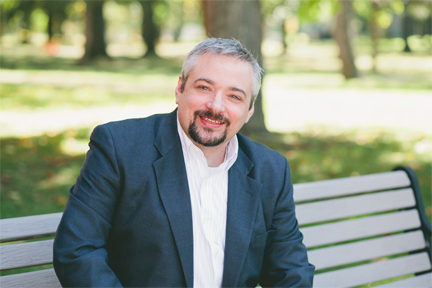 MARK BLACKMON is a strategic organizational communications strategist helping organizations gain market share through user-focused interaction. He is also a freelance playwright, essayist, journalist, and general-purpose raconteur for all media. Blackmon co-founded Chanticleer Productions, LLP, one of the first firms to harness the benefits of emerging new media and created the first new media infrastructure for producing, designing, writing, editing, syndicating and hosting audio/visual programming which would otherwise have been cost-prohibitive for small businesses and not-for-profits. For more than 20 years he has lead teams in marketing, audience development, and public and media relations, serving Associate Vice President for Public Affairs and Director of Media Relations for Earlham College, Head of Institutional Development for Baltimore Shakespeare Festival and Director of Marketing & Public Relations for Round House Theatre, just to name a few. In 2018, he was named Director of Marketing and Public Relations for the United States Institute for Theatre Technology (USITT), the national association for performing arts and live entertainment professionals. He has a soft spot for smart young people who want to change the world through art and a penchant for old cars, new technology, good coffee, fine wine, diner food, the works of William Shakespeare, soap operas, the Baltimore Orioles and beagles. He lives happily with his husband in Central New York where it snows a lot and only lies about his age and his height. Life is too short to tolerate weak tea and bad theatre.